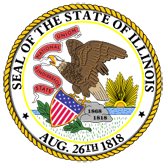 Press Release: On June 21, 2016, the Illinois Liquor Control Commission (ILCC), in conjunction with the Illinois State Police, conducted 12 underage compliance check(s). During the operation, there were 4 prior violator(s) re-tested for compliance. 1. Liquor Control Commission Underage Compliance Report for Champaign County (16-0515-ILCC_Champaign_County_2.pdf).